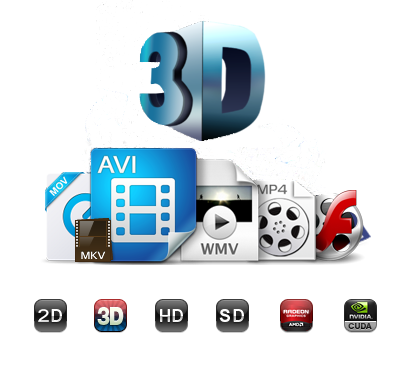 How Convert MP4 to 3D with Best MP4 to 3D Converter? Can any program convert MP4 videos to 3D so that I can enjoy 3D movies at home? In fact, there are a number of such questions asked by 3D movies fans online. How much do you know about 3D? What we know more about 3D is 3D films, 3D televisions or 3D video game. For example, you might have watched a 3D film, and you often have an immersed sense when you watch 3D film. And now more and more people attempts to try to convert their 2D videos like MP4 to 3D. Why? Keep reading, and you will know more about that. 3D Videos enhances the illusion of depth perception, hence adding a third dimension. So when we watch 3D films, we would have an immersed sense. Nowadays, with improvements in science, people became more and more fond of seeking for more superior experience. For example, for enjoying the immersive video effect, however, like 3D movies, it is popular but the ticket is a little expensive to most people. Hence, people now try their best to convert their 2D video like MP4 to 3D for perfect enjoyment. Therefore, it is necessary to share this useful guide on how to convert MP4 to 3D. Let’s get back to the topic. Can we help him find a way to convert DRM protected iTunes M4V to MPEG-4? I will put few online converters to use to find the solution. Part 1: MP4 to 3D converters for reference. Part 2. How to convert MP4 to 3D with best MP4 to 3D converter? Part 1: Online free MP4 to 3D converter for reference. Where there is need, there is solution. For solving this problem, more and more helpful converters emerged. For example, online MP4 to 3D converter, is a kind of convenient converter that enables you to convert MP4 to 3D freely without other programs installed. However, online MP4 to 3D converter has some weakness that we may not neglect. 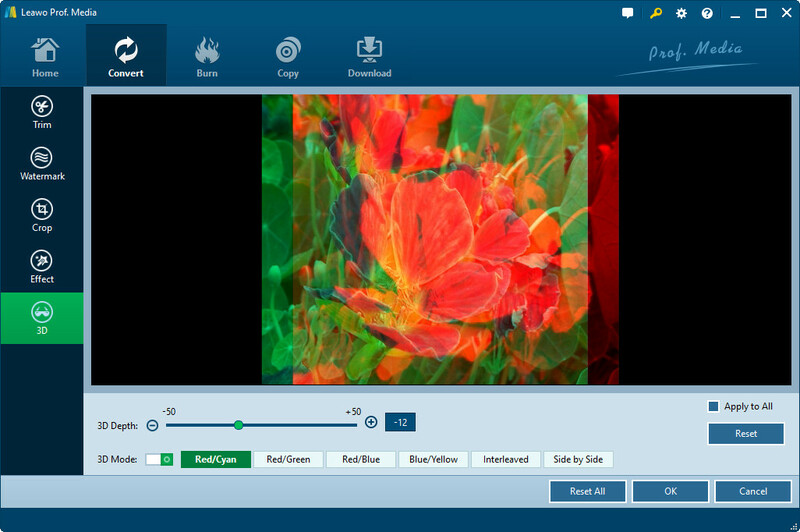 By contrast, MP4 to 3D Converter software/apps are more reliable. Here I would like to share three helpful MP4 to 3D converters for reference. 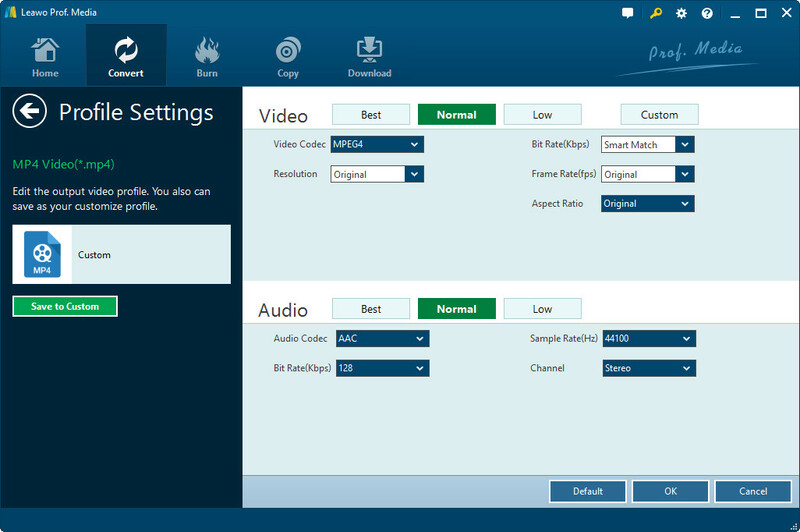 Leawo Video Converter is a powerful video/audio converter that enables you to convert videos of up to 1080P and audio files between almost all formats like MP4, AVI, FLV, MOV, WMV, MKV, M4V, MPEG, 3GP, etc. Besides, its more remarkable feature is the function of converting 2D to 3D video with great effective. You can also download and convert YouTube video to 3D and then enjoy on various media devices. Therefore, convert MP4 to 3D is such a simple operation with Leawo Video Converter. You can pick up one of 6 preset 3D movie effects from Red/Cyan, Red/Green, Red/Blue, Blue/Yellow, Interleaved, Side by Side, and choose a value to set 3D Depth effect for more vivid 3D movie effect. 3D Video Converter is designed to create 3D video. It is able to convert an ordinary 2D video into 3D stereoscopic video with special effects. Similar to Leawo Video Converter, it can support lots of video formats to 3D. MP4 to 3D is certainly included. After conversion, you can enjoy your 3D on various media devices. Amazing 3D Video Converter is also a useful 2D to 3D video converter that is capable of converting general 2D video 3D video. And it also supports various videos. MP4 to 3D also can be realized. And it also support variety of output devices like iPhone,iPad, iPod, Apple TV, etc. It is another choice for users to choose from. After giving some options for you to choose a better MP to 3D Converter. It is highly recommended to use Leawo Video Converter. As introduced above, it is a powerful video converter that can convert MP4 to 3D without quality loss. You can give it a try safely. Now let me show you the detailed guide on how to convert MP4 to 3D with Leawo Video Converter step by step. Before start the conversion, you need to download and install Leawo Video Converter first by clicking the download buttons below. Step 1: Add your 2D MP4 videos into the 2D to 3D converter. Or you can directly drag your MP4 videos into the program. And you can play back loaded videos, select subtitle and audio tracks, etc. Step 2: After adding the source MP4 videos, choose the MP4 videos and click the “Edit” option on the right side. Select “3D” tab to set 3D effect. Adjust 3D Depth if neccessary. Click “OK” button to save. Step 3: Click the drop-down box before the big green “Convert” button and then select “Change” option to enter Profile panel. Select output profile here. Click “OK” to save. Note: (optional): Click the “Edit” button on the drop-down profile setting box to adjust video and audio parameters like video codec, aspect ratio, frame rate, resolution, audio codec, bit rate, channel, sample rate, etc. Step 4: Click the big green “Convert” button, then set output directory on the following popup window. Then click the “Convert” button at the bottom to start the conversion. After a while, you will successfully get the 3D video from 2D MP4 videos. And then could enjoy the created 3D movies on your 3D TV or other devices. To sum up, in order to convert MP4 to 3D video, you need to rely on a useful tool. 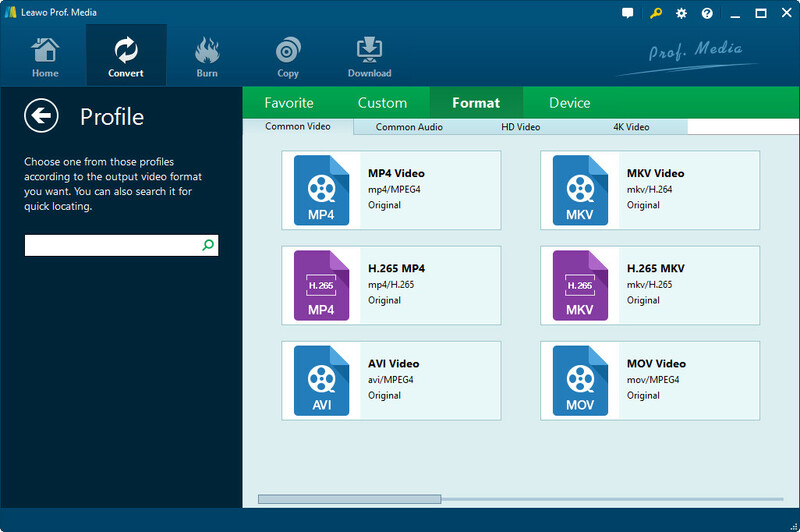 Although there are so many mp4 to 3D video converters, I prefer Leawo Video Converter. It is regarded as a professional mp4 to 3D video converters since its powerful functions of MP4 to 3D conversion, easy-to-use interface, and great converting speed. It could be a best choice for you.